I brought home so many great ideas that I can just scratch (oops) the surface here. 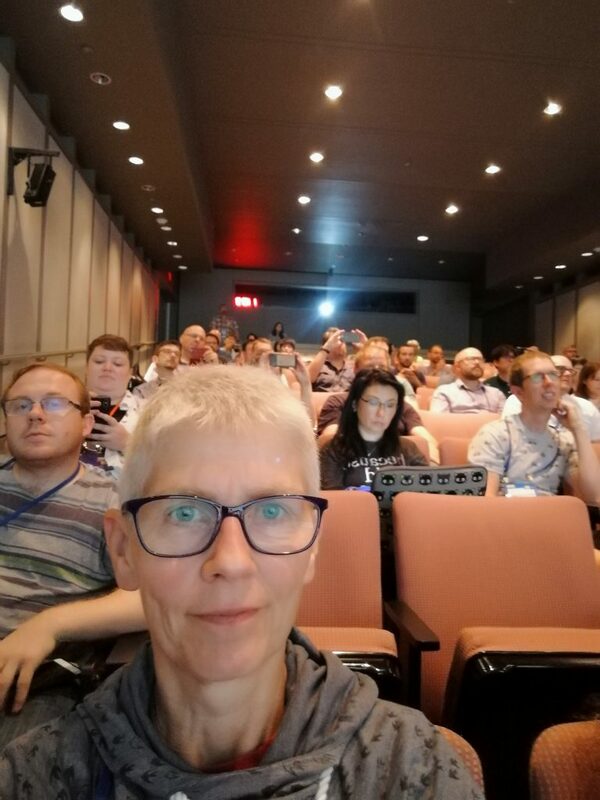 The conference will definitely influence the cccSkerries coding classes for the next 2 years, until Scratch 2020! Still, here are a few thoughts. 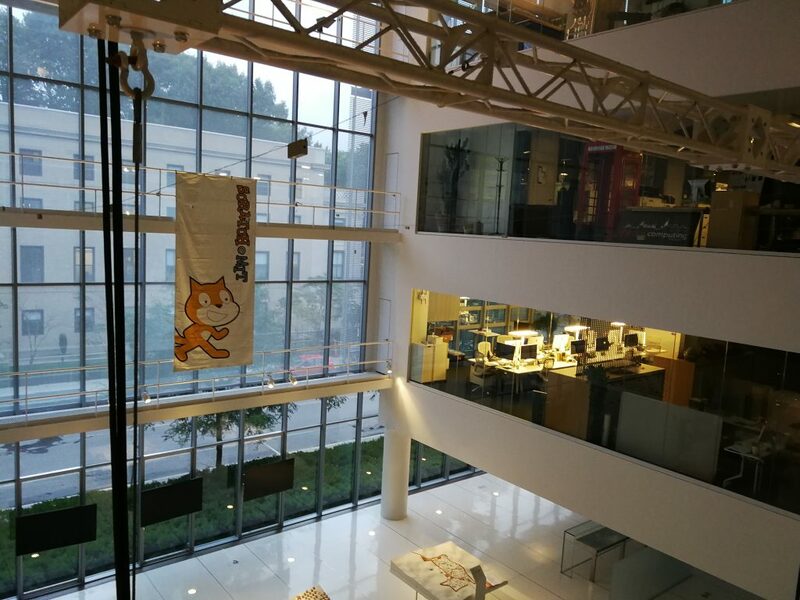 Scratch 3.0 – soon coming to a Smartphone Near You! 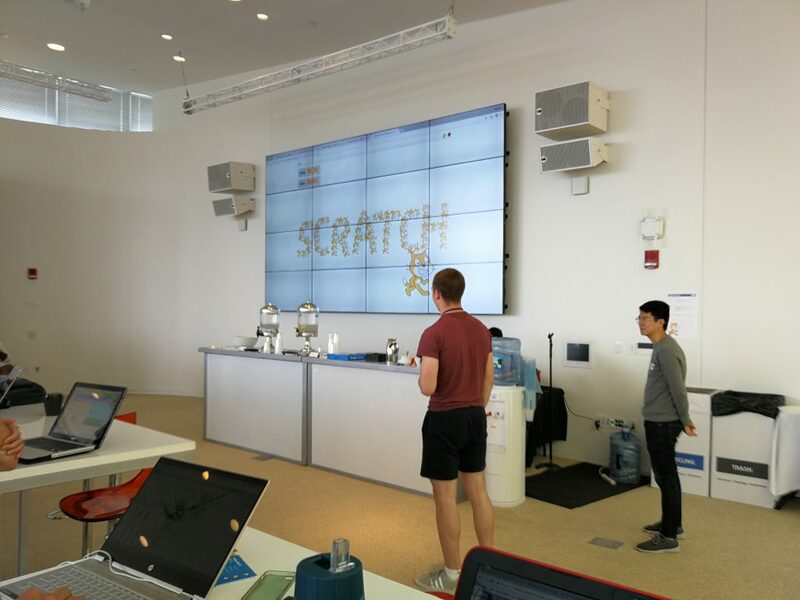 The big news: Scratch is being updated. We knew this in theory at the latest since the conference in Bordeaux in 2017, but it’s now becoming a reality. 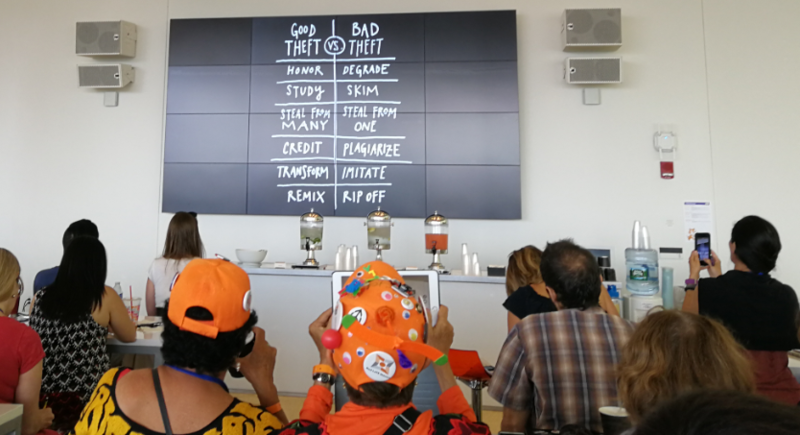 The next generation of Scratch has just gone into public beta, which means that everyone who is on the Scratch website is encouraged to try it out. It looks and feels …. very similar, yet quite different. The biggest difference is that it is now working on mobile devices!!! Hooray for that! It will be the “main” Scratch from January 2019, and all my groups will transition to Scratch 3.0 between now and January. Scratch is one of the safest online places I know, and the community is great at reporting whenever somebody errs on the wrong side of caution and supportiveness. 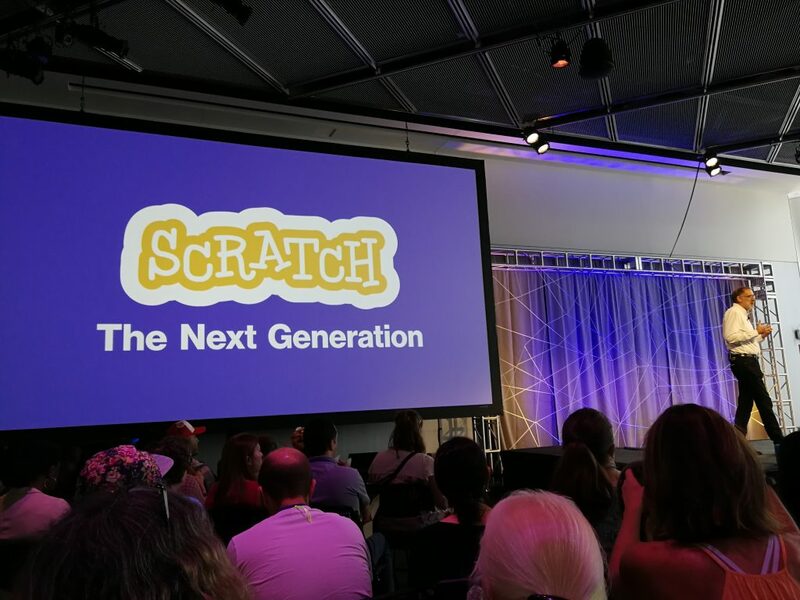 All of the older teenagers present at the conference had had very good experiences in the Scratch community over the years, starting with the Welcome Studio, where new Scratchers can get tips for their journey. It’s something I’ve mentioned before in my Scratch Coding groups, and something I’m going to emphasise even more in future. 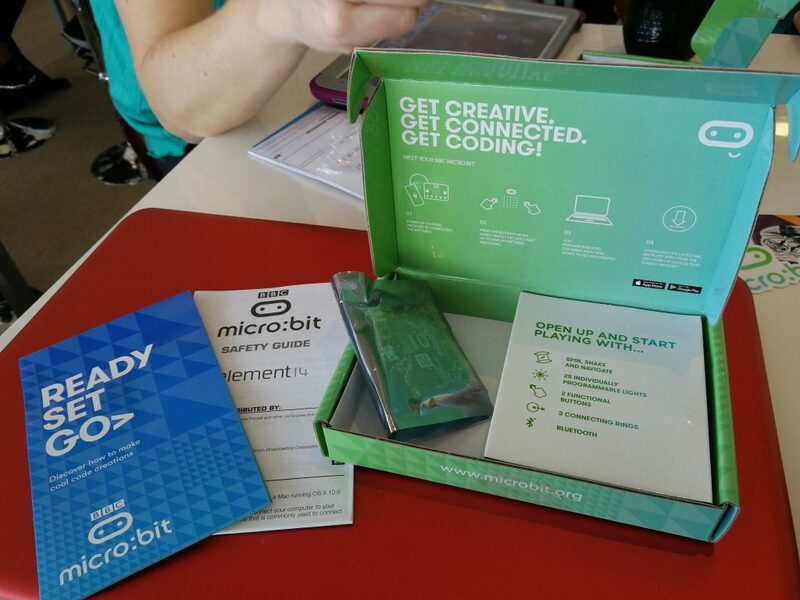 You can use Scratch to make words flash across the micro:bit. 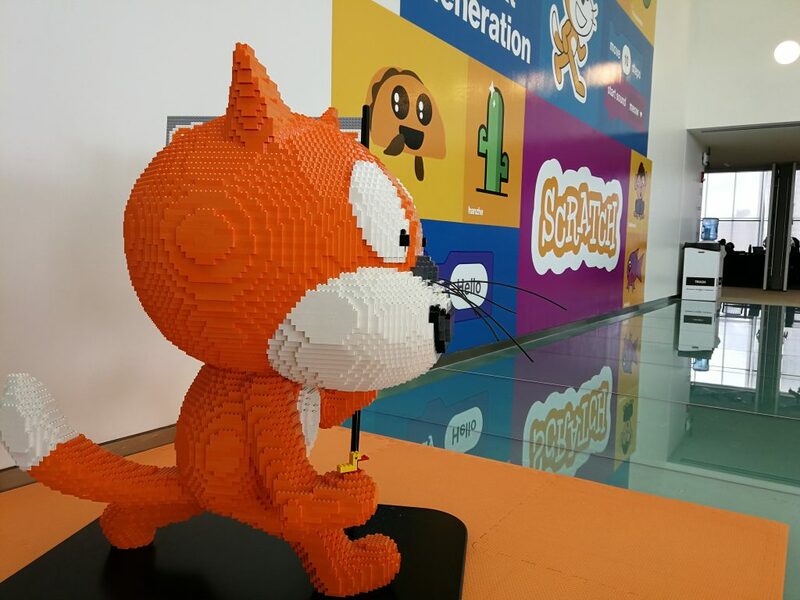 You can connect Scratch to Lego computers. We tried both! You can create patterns with Scratch that, using a certain third party program, can then be stitched onto textiles by a computer-driven sewing machine. Fact! 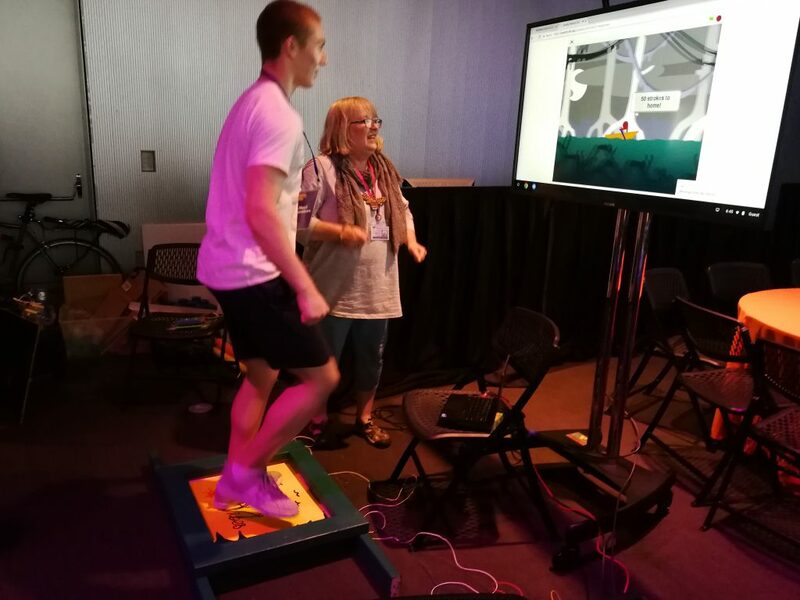 And you can use real-life objects – bananas, apples, wooden boards balancing on tennis balls (like demonstrated by Ciarán below) – to control Scratch games! 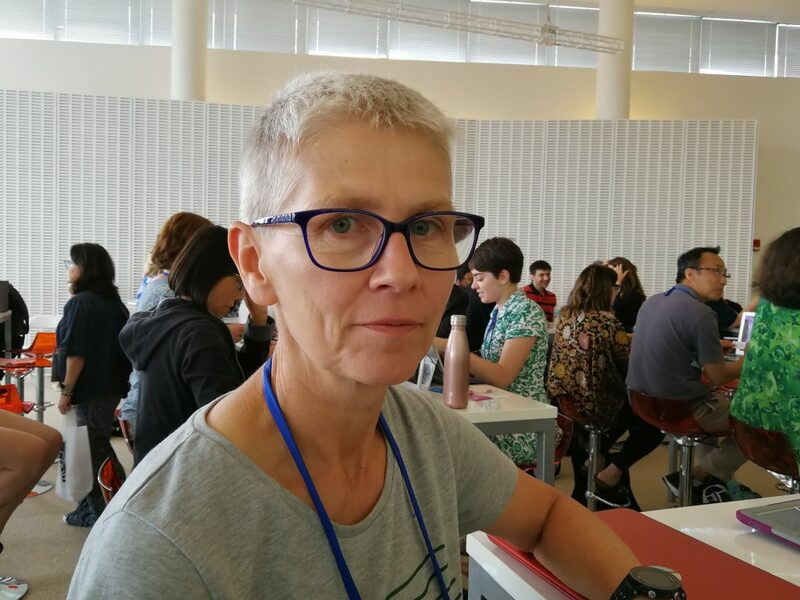 Scratch and the Older Coder: Not just for the very young! 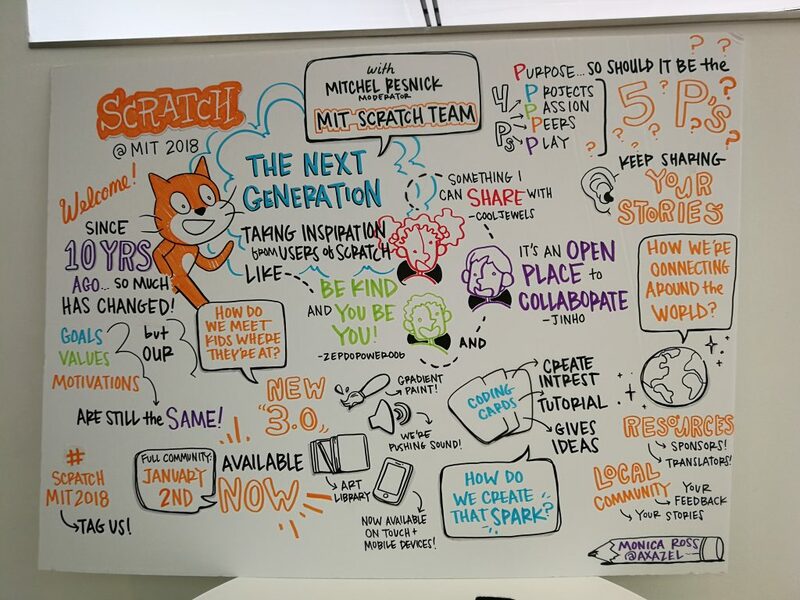 Great to see many older teenagers and some adults (mainly educators) creating engaging projects in Scratch and being active on the community. 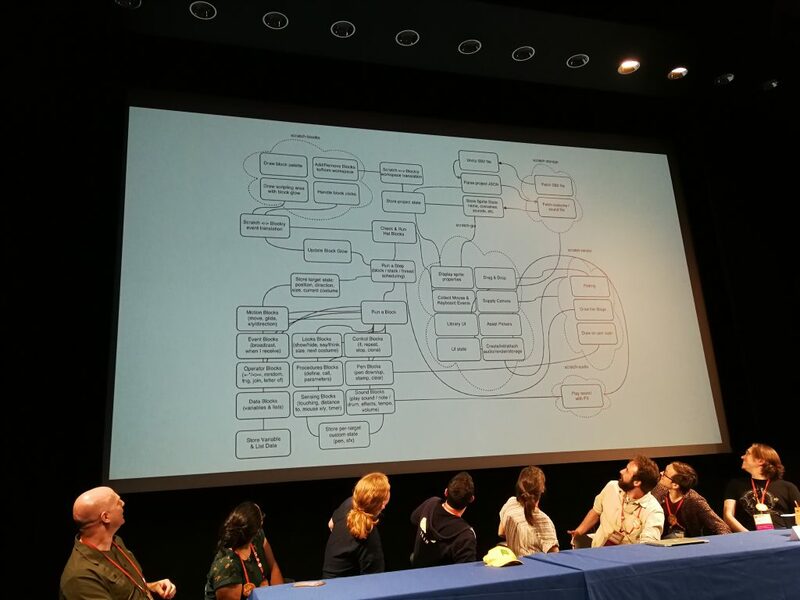 Scratch projects can be as complex as you’d like them to be!!!! That’s it for this report. More of the same in 2020!